Joyanna Silberg, Ph.D. is the Executive Vice-President of the Leadership Council on Child Abuse & Interpersonal Violence. Her psychotherapy practice specializes in children and adolescents suffering from dissociative symptoms and disorders, and her forensic practice specializes in child sexual abuse. She has served as an expert witness in 27 states. She is past-president of the International Society for the Study of Trauma & Dissociation (ISSTD) and contributing editor to the society’s journal, the Journal of Trauma and Dissociation. She is the recipient of the 1992 Walter P. Klopfer Award for her research, 1997 Cornelia Wilbur Award for clinical excellence, and the 2011 William Friedrich Award for work on Child Sexual Abuse. Silberg is the editor of The Dissociative Child (Sidran Press) and co-editor of Misinformation Concerning Child Sexual Abuse and Adult Survivors (Haworth Press). She has presented nationally and internationally on child abuse, psychotherapy, and protecting abused children in family court. She is the consultant for DVLEAP‘s Custody and Abuse Project with Office on Violence Against Women, and her project involves an analysis of cases in which judicial decisions that imperil children are reversed by later judicial decisions. Her newest book The Child Survivor: Healing Developmental Trauma and Dissociation, was released by Routledge Press in October of 2012. 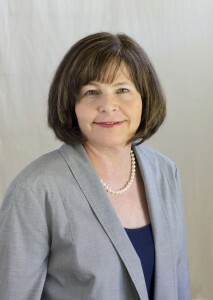 Dr. Silberg is the 2013 recipient of the Champion for Children Award from the Domestic Violence and Legal Empowerment Appeals Project (DVLEAP), and the 2013 recipient of the Written Media Award for her book, The Child Survivor, awarded by the International Society for the Study of Trauma and Dissociation. For audio clips or more information on Dr. Silberg, go to her website The Child Survivor.